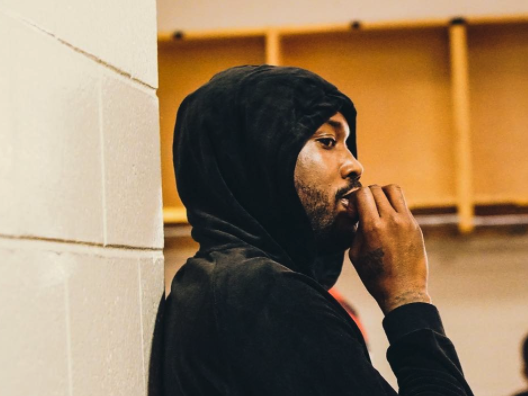 Philadelphia, PA – Meek Mill is heading back to jail. CBS Philly’s Joe Holden reports the Maybach Music Group lieutenant has received a two to four years sentence for violating probation. The Wins & Losses MC returned to court with his lawyer Brian McMonagle on Monday (November 6) and came away with bad results. Common Pleas Judge Genece Brinkley rejected the prosecution’s recommendation for no imprisonment. The judge ruled that Meek’s 2017 arrests for an altercation at the St. Louis airport and reckless driving were violations of his probation from a 2008 drug and weapons conviction. Both cases were eventually dropped but have come back to haunt Meek. Meek Mill could be facing nearly two years in prison for violating his probation, according to TMZ. Meek is heading to court on Monday (November 6) to hear his fate after already violating his probation twice this year, which stems from a 2008 drug and weapons conviction. Back in August, Meek Mill was arrested for driving his dirt bike recklessly through the streets of New York City. He reportedly struck a deal in October that stipulated that if he’s able to go six months without racking up any more charges, he’ll have the arrest cleared from his record. A few months earlier in March, Meek Mill was charged with misdemeanor assault after an altercation broke out with an employee of St. Louis International Airport. The judge in Meek’s drug and weapons case has reportedly already informed the Philly rapper that if he makes one more false move, he’ll be in big trouble. In 2015, Meek Mill left his home state of Pennsylvania without pre-approval and the judge put him on house arrest. Considering his most recent cases are more serious than traveling without permission, speculation has begun circulating regarding Meek’s fate. TMZ reports that Meek Mill could be facing 20 months behind bars if things don’t go his way. Meek hasn’t directly commented on his latest legal developments, instead sharing a pic on Instagram of him bringing children from The Boys & Girls Club to a Philadelphia 76s game.